Shipping from our NZ, US and EU warehouses. Earn 2.45 Weta Dollars! What's this? Climbing the hill, bound for Bag End, well-wishers and distant relations of the esteemed Mr. Baggins would pass the colourful number 35 on their right, with its distinctive brick and thatch-roofed extension. 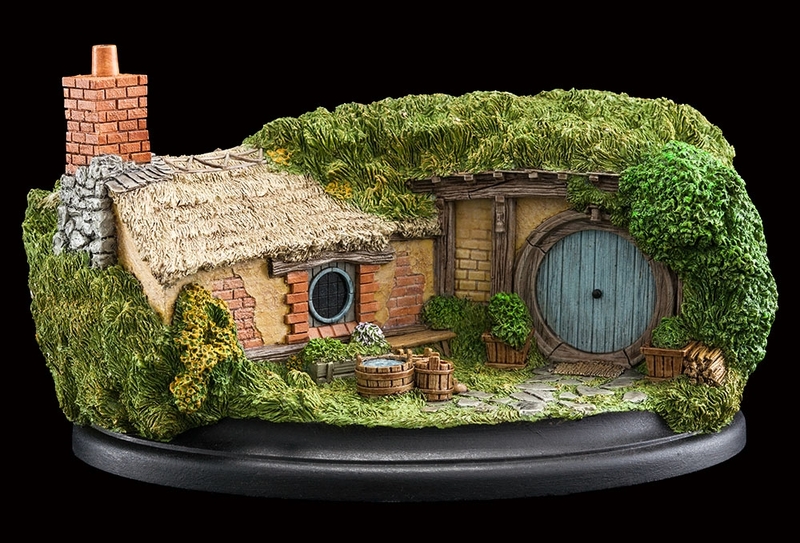 35 Bagshot Row is the fifth in our collectible series of Hobbit Holes! Because of the relationship we have with all the production parts of the process, we have access to everything from concept drawings to set plans, which is really handy when making things like the Hobbit Holes. This gorgeous little environment is an exacting miniature replica of the movie set that can be visited at Hobbiton in Matamata, New Zealand. It is an Open Edition piece. Please note: images are of a pre-production prototype. Each piece is painted by hand and slight variations will occur. Another wonderful hobbit hole, the photos do not do it justice! Exquisitely detailed and a great size for my growing Hobbiton! Keep them coming Weta!"